Richard joined BFFF in March 2019. Most of his career has been spent in the frozen food industry, spanning some 35 years. Of those, 22 were as Managing Director of Freiberger UK, manufacturer of Private Label frozen pizza for most UK retailers. For 13 years he was also a Non-Executive Director of our sister company Stateside Foods. 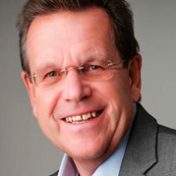 During his tenure at Freiberger he was a strong supporter of the BFFF, being a long-term member and sponsor, as well as sitting on 2 of its committees. He has also been a member of the management committee for the Pizza, Pasta and Italian Food Association (PAPA) for the last 9 years, as well as serving as the Association’s first Chairman. Richard is responsible for the management of the Federation to promote and protect the interests of its 283 members. 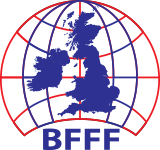 BFFF is the leading Trade Association for the frozen food industry with members from the entire cold chain.